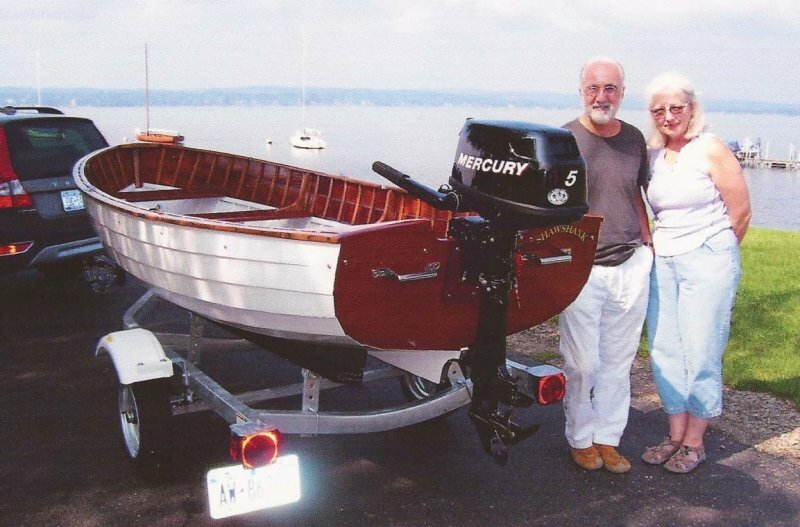 Mark and Jane Serrianne love their 1953 Lyman Ideal, SHAWSHANK, that they recently restored and then launched on Chautauqua Lake, New York. SHAWSHANK, 13'2" × 4'8", had dry rot in the bottom, which they removed and repaired. 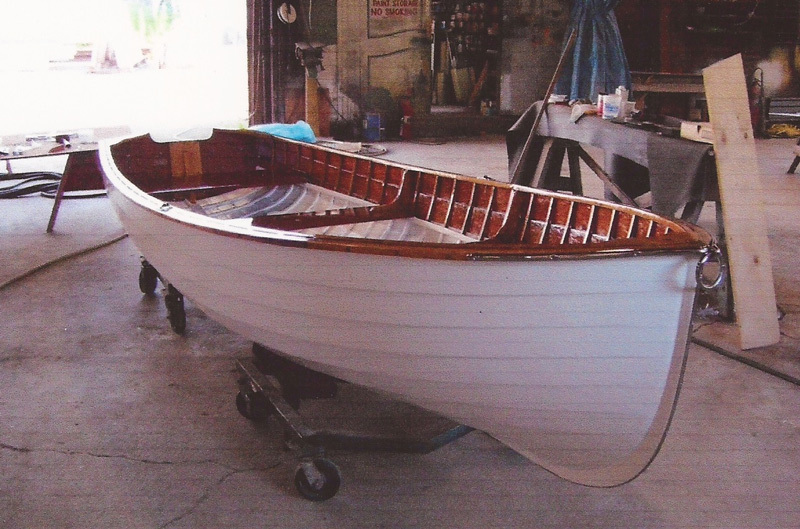 Then they completely stripped down and refinished the boat, and replate all of the original hardware. The hull is lapstrake plywood construction with oak rails and trim, and mahogany seats and transom.